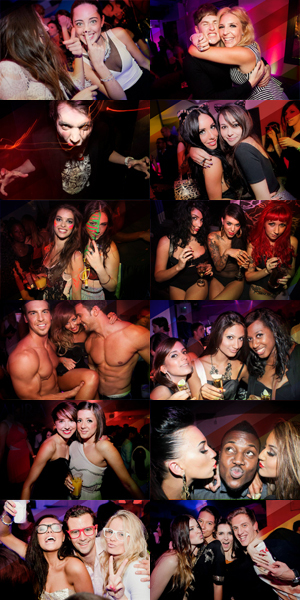 Kanaloa Nightclub - The Hottest London Nightclubs - Get on the Guestlist & Book a table! Looking for a fun and exciting nightclub that will let you have an enjoyable night out on the town while still living within your means? Look no further! The Kanaloa Night Club is a hip, chic nightclub in London that promotes a comforting tropical atmosphere! It’s a place where you can order lots of delightful cocktails and listen to music so engaging that it’ll stay with you for days and days. You have to cross a bridge to actually get into the club, which is only the start to the atmosphere of fun you’re going to have when you decide to go to the Kanaloa nightclub. You’ll definitely feel like you’re on vacation in Hawaii the more you enter the club. There’s a large bar that can accommodate large groups of people, and then when you go downstairs there’s a dance floor and places to have a seat and start enjoying the night! There is a minimum amount each table must spend. The ambiance is super-friendly with music blaring past favorites from the likes of Madonna, Duran Duran, the Beach Boys and Donna Summer, inviting everyone to get up and start dancing the night away! Kanaloa’s resident DJs include Tommy Crane and Chris Anderson, who have huge prominent DJ booths where the ceiling changes colors. Really cool! The perpetual glow of nightfall can always be seen, which makes you feel like it’s always summer. Attention is given to quality vs. quantity here at the Kanaloa nightclub, so be sure to try some of our many varieties of cocktail drinks. Be sure to get yourself on the Kanaloa Night Club GuestList! This way you’re sure to get in, vs. waiting at the door and hoping to get past our strict staff guarding the door. We welcome all guests, and we’re sure you want to be out on the dance floor having one of the best times of your life. So come down and hobnob with some of London’s elite today!